Users are also able to configure the DVR settings via web browsers such as IE, Firefox ESR, Chrome via IE Tab on PC or Safari on Mac. 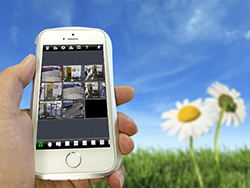 Watch your properties on the go with the SuperLive Plus mobile app and the SuperLiveHD tablet app. 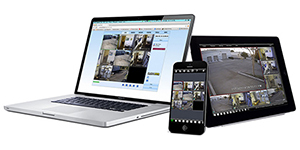 It is capable of viewing live video feed, playing recorded footage, taking snapshot, controlling PTZ cameras, and switching between multiple DVRs. The included A-MHDBF1 indoor / outdoor bullet cameras capture outstanding video day and night. A-MHDBF1 is equipped with 24 Infrared LEDs to produce superior night vision image up to 100 feet away. These cameras are fully functional under harsh environment. It is designed to be weatherproof and sustainable under extreme temperature and humidity. 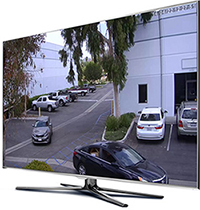 Built-in HDMI video output allows users to view cameras on high resolution TV up to 4K resolution 3840 x 2160. For users' convenience, the DVR can output video via HDMI, VGA, and/or BNC video output. W 12" x D 9.8" x H 2.1"